WHEN WHITE Light needed testing equipment for some of its more complex projects, the AV and lighting specialist knew Seaward would have the perfect solution. 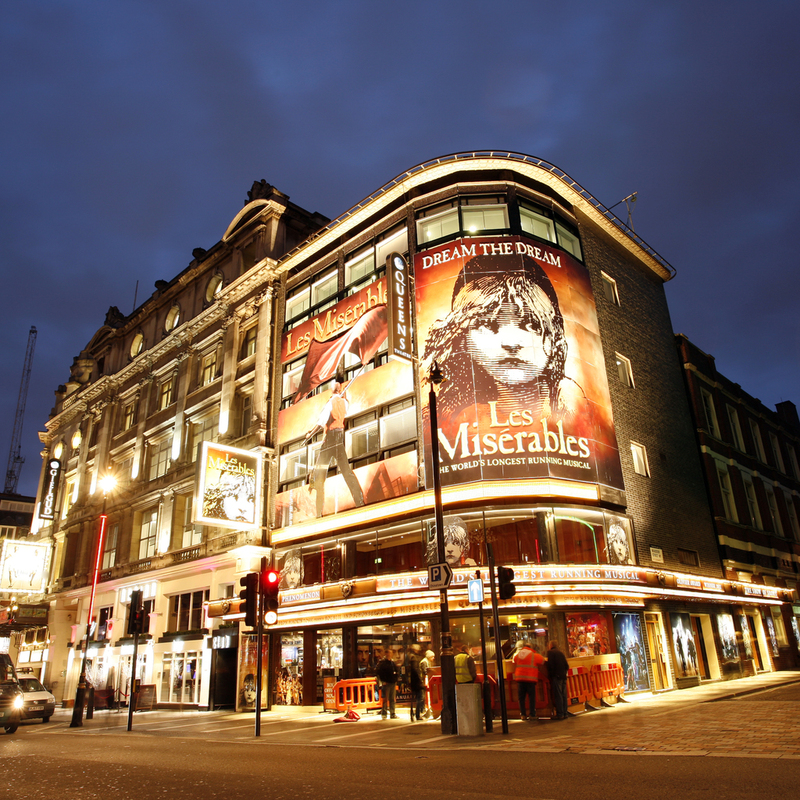 Starting life as a lighting rental shop for London’s West End theatres in the 1970s, White Light has expanded to become a leading technical solution specialist. The company now counts theatres, concert venues and broadcast studios among its areas of expertise and prides itself on supplying the equipment, knowledge and support to help its customers achieve the most out of their projects. Technical support manager at White Light Nick Sheridan said, “We were looking for a device we could use in some of our venues where access is tricky – think small theatres and tight sub-stage areas, which typically involve testing at height or in confined spaces. The company was already familiar with Seaward devices, using the PrimeTest 50 and 250+ to test rental equipment – so purchasing an Apollo 500+ was a natural choice. Nick continued: “We’ve been let down in the past by unreliable or unstable machines and a lack of manufacturer support – but Seaward has always been the standout brand for reliability and professionalism. Since its launch five years ago, the original Apollo series has been a firm favourite among users, consistently outperforming the competition to secure its position as the best-selling downloadable PAT tester on the market. The Apollo+ series builds on the success of its predecessor with a range of new features and improved functionality, including updated software designed to speed up testing times. Its lightweight design and long battery life made it the ideal solution for Nick’s engineers – providing them with the freedom to test in restrictive working environments. Nick said: “Our engineers are big advocates of the Bluetooth scanner! “We often need to work on site for long periods of time, or overnight – so having the option to send results back to the office is hugely beneficial. Apollo+ models are boosted by new accessories, including an external rechargeable battery pack – welcome news for high-volume users who are now able to recharge their devices on-the-go, extending their operation time. There’s also enhanced interface functionality, including customisable operator permissions, advanced search options and the ability to quickly navigate results. As with the original series, Apollo+ devices feature Seaward’s easy-to-use PATGuard software which includes Time Manager, a popular feature available on Apollo devices for the first time. 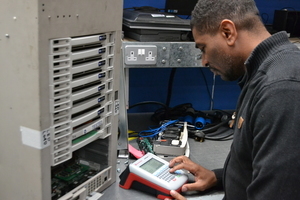 Nick explained, “A large proportion of what we do as a department involves high volume equipment servicing. Nick experimented with different methods but struggled to keep up with the sheer amount of data involved in these projects, finding it impossible to keep on top of without a dedicated admin team. Now, thanks to the Apollo+, Nick thinks he’s finally found a solution. He explained, “We’ve been beta testing the use of the Apollo+ as a multipurpose tester and reporting tool for jobs involving more than just regular PAT testing – sometimes even jobs where no electrical testing is required at all! In fact, Nick has created his own unique test sequences, allowing him to enter any data into the Apollo+. Nick continued, “We can now store all information under one record, one ID and, together with PATGuard3, reports can be generated so quickly and easily that we have already reduced both the amount of data being stored and the speed at which this data is processed. This is great for Nick’s busy team of engineers who can now focus on the job at hand without worrying about completing lengthy paperwork or filling in databases. In fact, Nick has even set a target to reduce overall admin time for medium to large scale projects by around 75 per cent – and he’s confident the Apollo+ will help him achieve it. Seaward’s expert team has been on hand to support Nick and his team throughout the set-up process. Seaward UK field sales manager, Richard Slade, added, “It’s always encouraging to hear from customers who have seen a real benefit and difference to their work thanks to our devices. “We listened carefully to customer feedback when developing the Apollo+ range – and it’s clear this has paid off for White Light. Nick agreed: “There are many ways the Apollo+ helps our engineers carry out their day-to-day tasks but most important it gives them the freedom to concentrate more on the job at hand – and deliver the quality that customers have come to expect from us.